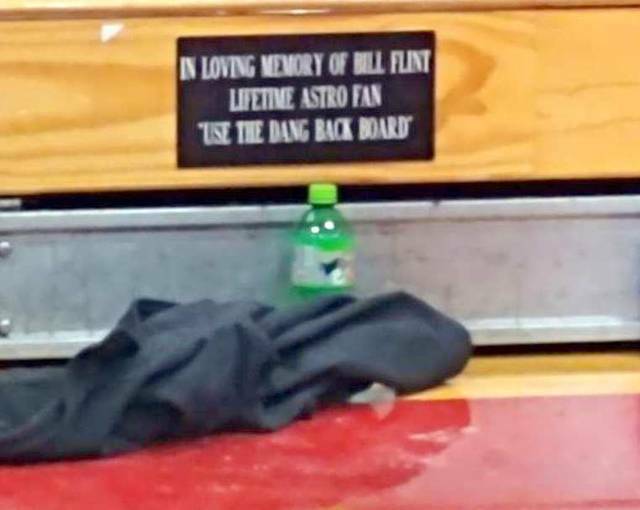 The late Billy L. Flint was honored Tuesday night at the East Clinton High School boys basketball game. Flint, an avid sports fan, passed away May 9, 2018. 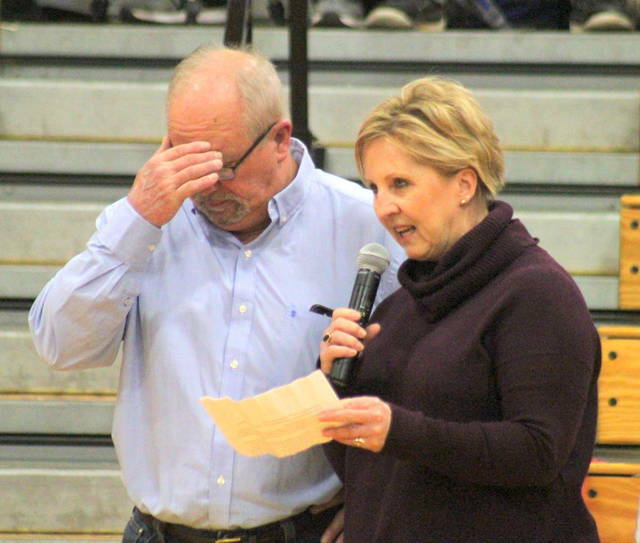 He asked that memorial contributions be made to the East Clinton Athletic Boosters. He watched Clinton County teams for more than 65 years. During the ceremony on Tuesday, his family read a script stating, “You would find him front row mid court at every game home or away. He always sat opposite the home side, so he could watch the coaches he said. As you might guess, he would be second-guessing referees’ calls, coaches’ decisions and players’ efforts. It provided fodder for the interesting discussions at the feed mill days after the games. You can be sure if the ball was taken out near where he was sitting the players would be offered additional coaching. All offered in the hope of contributing to a win. Flint was president of the EC athletic boosters through the development of the football field and its completion in 1974.